I get an error message: The program failed to connect to the database X. Error: Database (X) is updated to newer version than the server (Y) has. Home » Support » Frequently Asked Questions (FAQ) » I get an error message: The program failed to connect to the database X. Error: Database (X) is updated to newer version than the server (Y) has. "The program failed to connect to the database "X". Error: Database (X) is updated to newer version than the server (Y) has." 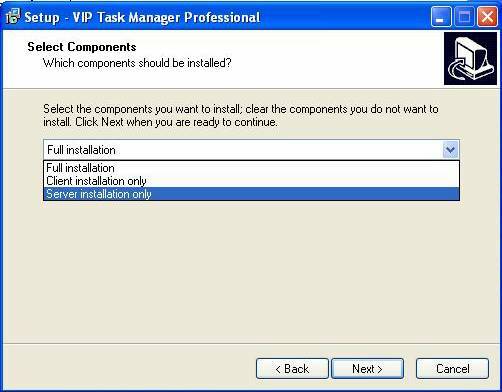 It means you need to update the server component of VIP Task Manager. 1. Run program installation file of the same version that is installed on users’ PCs. 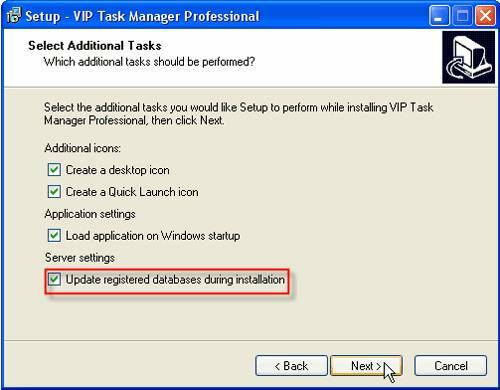 For example, if the version 4.1.1 (build 636) is installed on users’ computers, you need to install the same version on your server computer.